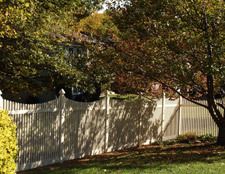 No backyard retreat is complete without proper fencing and gates. Whether you need a little extra privacy, or want some added security, it is important to make sure your backyard masterpiece is safe. With a complete line of materials ranging from vinyl to wood and composite, we are sure to carry the product specific to your needs.